After more than a decade of providing top quality auto mechanic service in Des Moines our vehicle specialists at Premier Automotive Service Center provide excellent customer service. No matter the questions or concerns you may have about your car, or our methods of payment, we have the answers! In fact, we offer a series of convenient financial options so you can have your car serviced as soon as possible. The sooner you bring your car in for inspections, repairs, or general maintenance, the higher your chances are of avoiding a much bigger issue later. Big issues with cars lead to breaking down at the worst times - though let's face it, there isn't exactly a good time to ever have your automobile break down! Our team of vehicle automobile repair specialists provide fast, prompt service. We have built a reputation on our timely turnarounds. Our ASE-certified technicians perform courtesy checks and official inspections, resulting in quick, accurate diagnosis. Our dedicated service comes with friendly, honest, welcoming attitudes. From start to finish, our customer service is highly rated. We provide a level of excellence our past customers have come to expect. Our premier auto shop raises the bar in every service - from changing or rotating tires to rebuilding transmissions. We provide a full body makeover to be sure your car looks and works at its best when it leaves our shop. 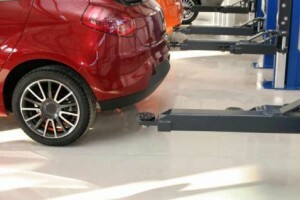 Be sure your vehicle gets the proper maintenance and quality repair service it deserves. Whether it's for a simple check-up or a major repair, our auto specialists will handle it with all of the finesse of true professionals. 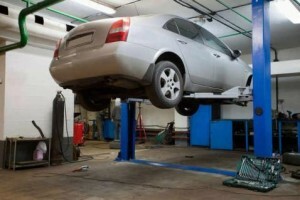 Premier Automotive Service Center provides Des Moines with auto mechanic service 6 days a week by vehicle specialists.